There are over two hundred virus combinations that are considered causes for the common cold. Echinacea is the most well-known herb used in the treatment of colds. 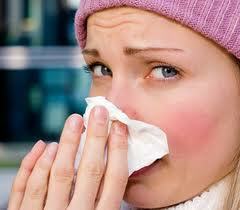 The viruses that cause the common cold are passed from person to person through sneezing or coughing or by handshaking. Washing the hands frequently, especially in cold season will reduce to potential of getting sick. Garlic is another well-known plant for prevention. Another useful treatment is a tea made from fresh gingerroot. This tea helps to fight the common cold. Those suffering from common or severe colds should take one tablespoon Luke warm honey with 1/4 teaspoon cinnamon powder daily for 3 days. This process will cure most chronic cough, cold and clear the sinuses. Congested nose? Apply eucalyptus oil to the sides of your nose! Or inhale a pinch of calamus root powder in each nostril!